Detox Drink and True Lemon - No Way That's Healthy! With week 1 of the 8 Week Get Healthy Plan upon us I thought I would share some other great drink ideas to try. First off is this great Detox Drink. It works best when you have it first thing in the morning. The ingredients in the drink will really kick up your metabolism not to mention your taste buds! This drink does take some time to get used to, but once you do you will start to really enjoy it. Mix all the above in a glass. It is best to drink this using a straw as the vinegar can be tough on your enamel. * For this recipe, it is really important you try to use an unfiltered apple cider vinegar such as braggs or jarrows formula brand. Another great way to flavor your water is to add in some fruit or a squeeze of lemon. 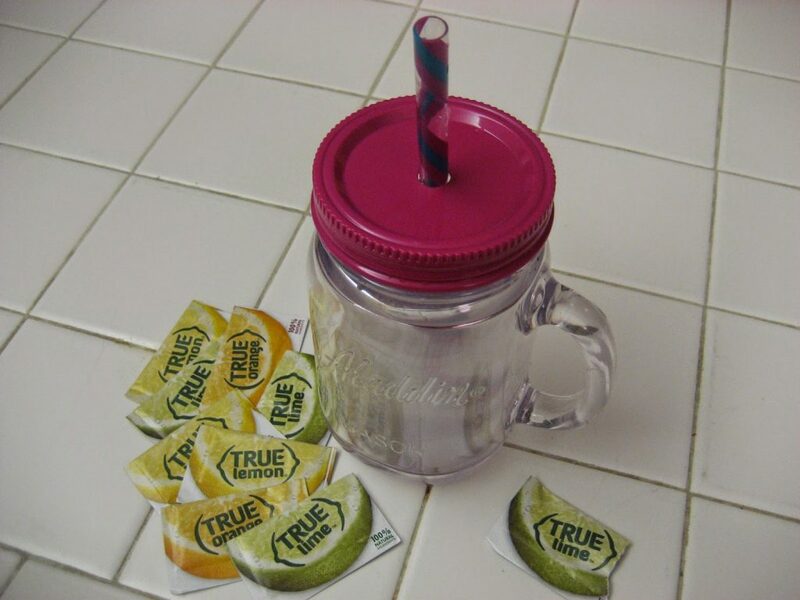 One of my new favorite ways to flavor water is using these great packets from True Lemon. They were kind enough to send me some packages of their True Lemon, True Lime, and True Orange. The Lemon flavor is just 100% lemon flavor with no sweetness. It is great added to water or would be delicious sprinkled on fish before or after cooking. The True Lime flavor is what I used here. Both the Lime and Orange have a little evaporated cane juice in them and they taste so good in water. All I did was add one packet to a whole cup. These packets also go great added to a green smoothie to up the flavor and help hide the “green“ taste. Have you tried True Lemon? Do you have any ideas to flavor water that you enjoy? *The True Lemon company sent me the products, but as always my opinions of the products are my own. I use True lemon — where do they still sell true lime and true orange? Isn't it dangerous to drink vinegar? Maybe that's why you stressed the importance to use an unfiltered brand….Um, I just used the Israeli stuff, will I be alright? What do you use here? Actually vinegar is very good for you. It can help with acidic stomach issues. It helps slow down sugar release into the body. There are two things I have heard though that may make it unsafe. 1- like I said above, use a straw to drink it as it could wear away enamel on your teeth. 2- It can cause blood thinning. Therefore if someone is taking blood thinning medicine or has any medical issue like that, they should probably stay away from drinking vinegar. Also since the drink is diluted, it makes it less intense. I ordered an unfiltered vinegar on iherb.com. They mail internationally. Only $4 shipping. I have a discount code if you'd like. It is better to use the unfiltered, but it is also fine to use any vinegar you can find. I think it should work mostly the same. Also, like I always say, if you are unsure please always ask your doctor.